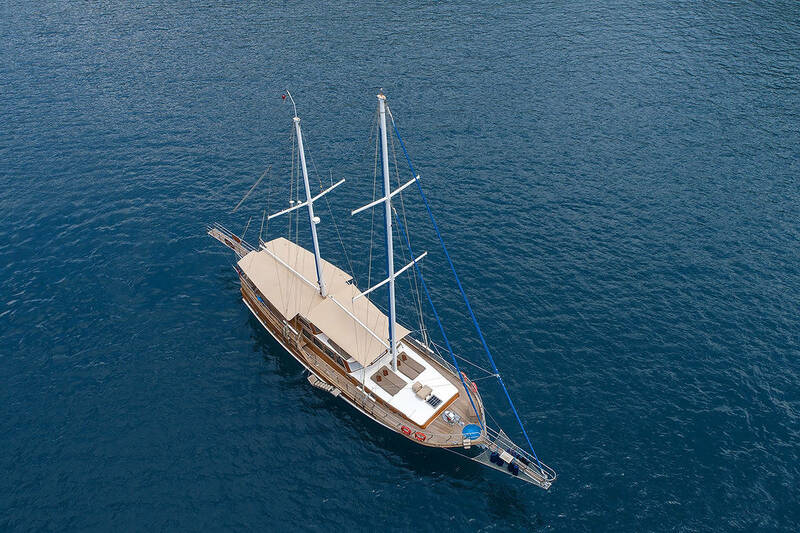 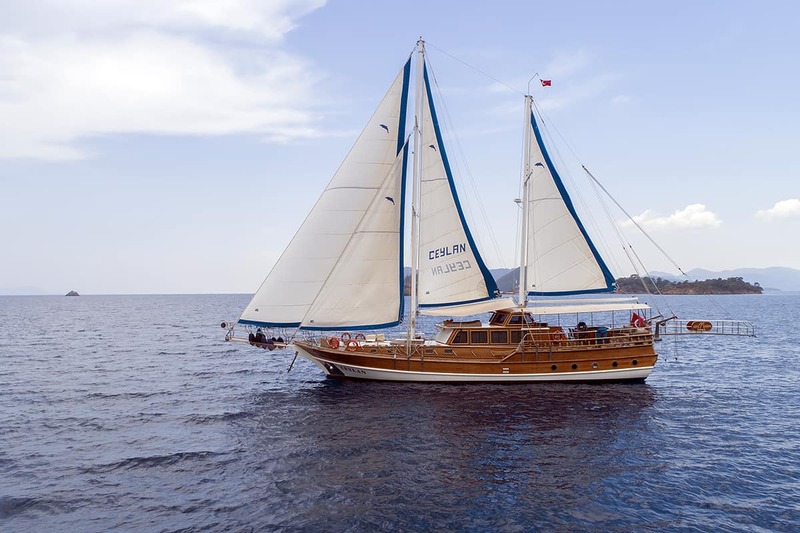 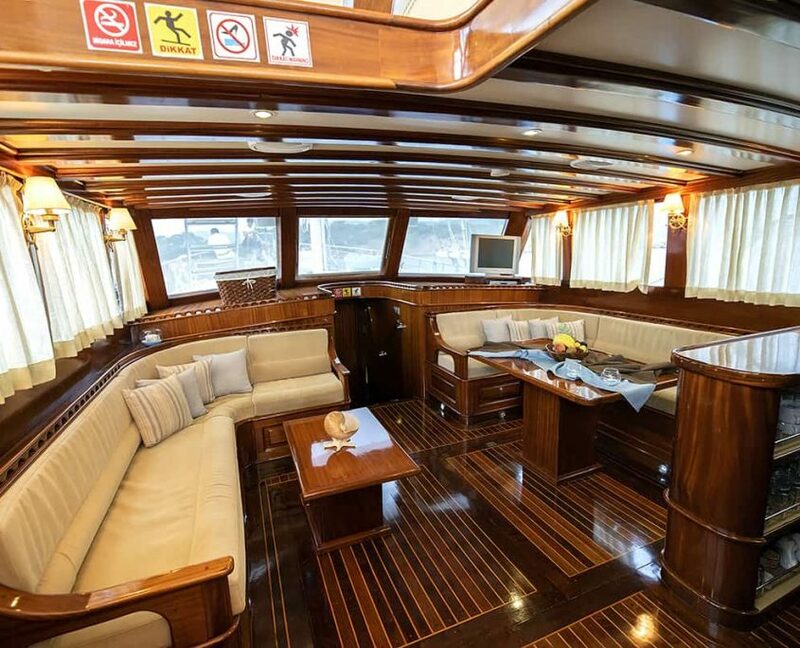 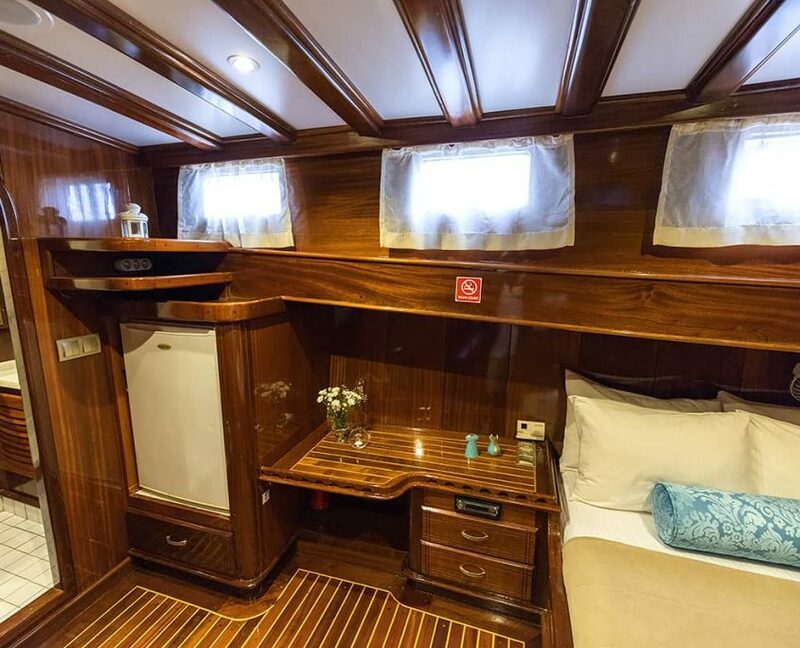 This is a great gulet for small groups, single families or couples only charters. 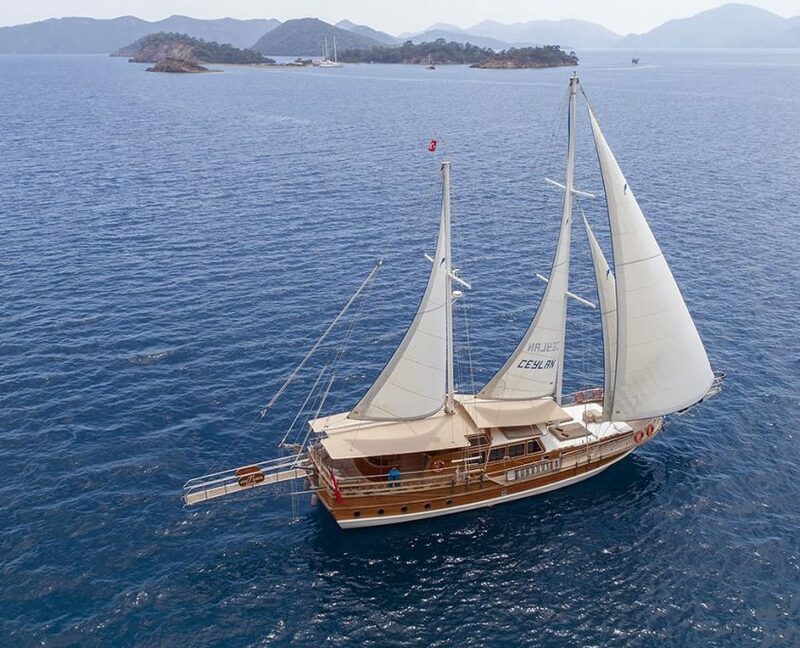 The gulet is based in the fabulous city of Fethiye. 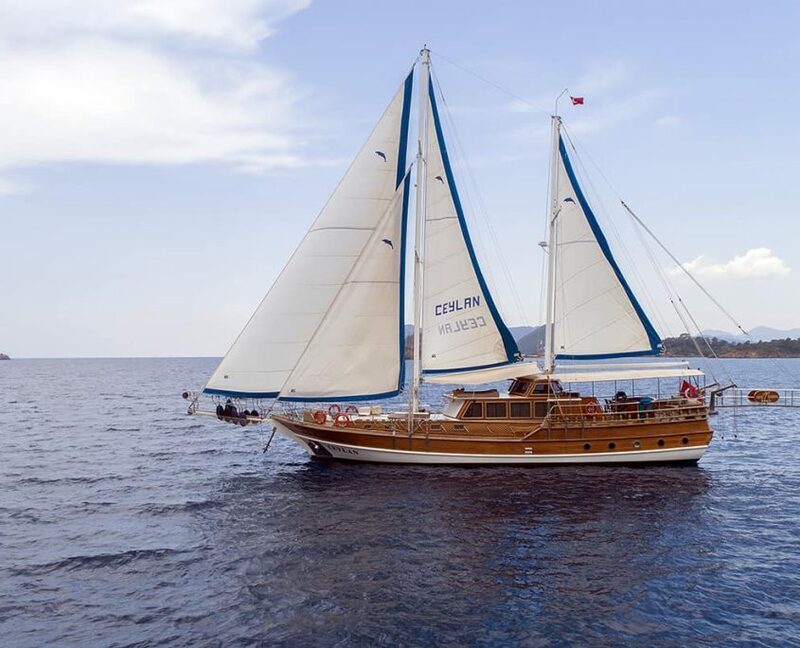 She is in great condition, clean, comfortable and just the right size if you aren’t seeking a large gulet. 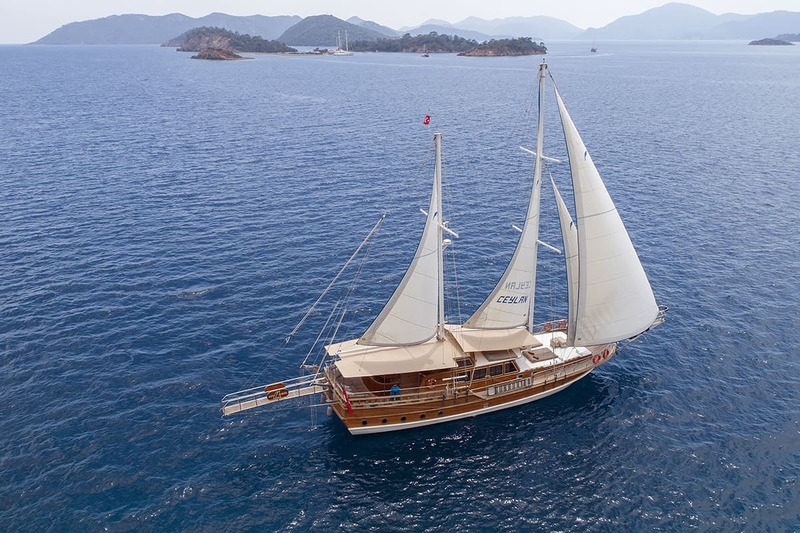 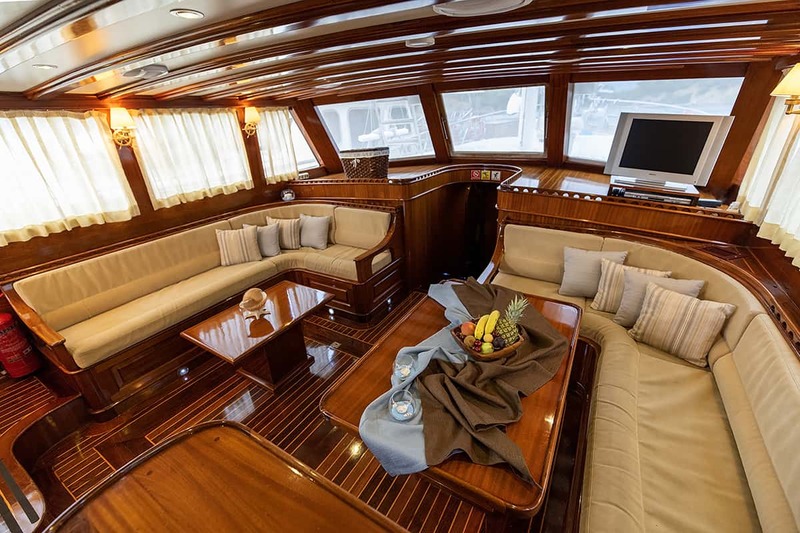 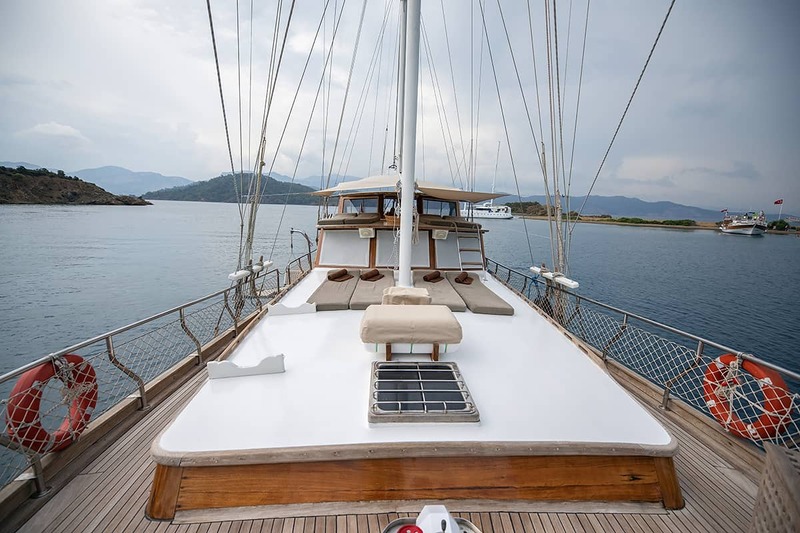 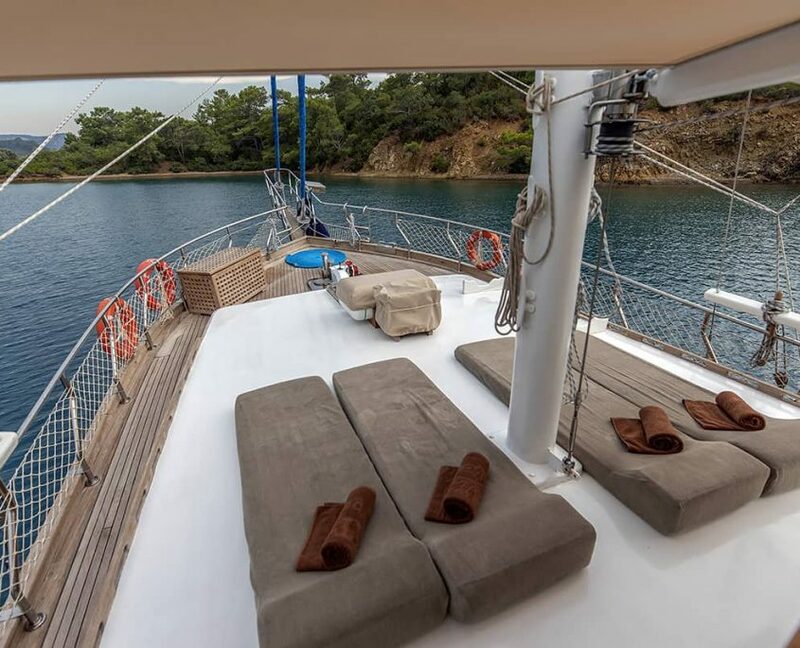 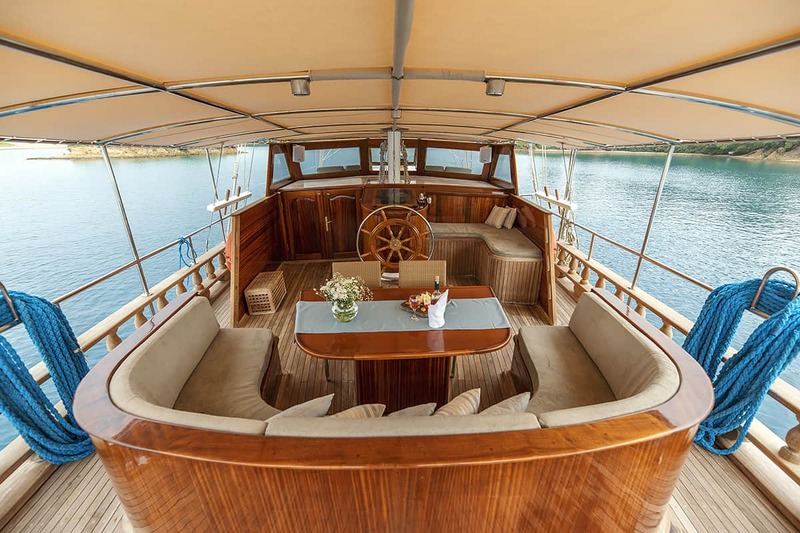 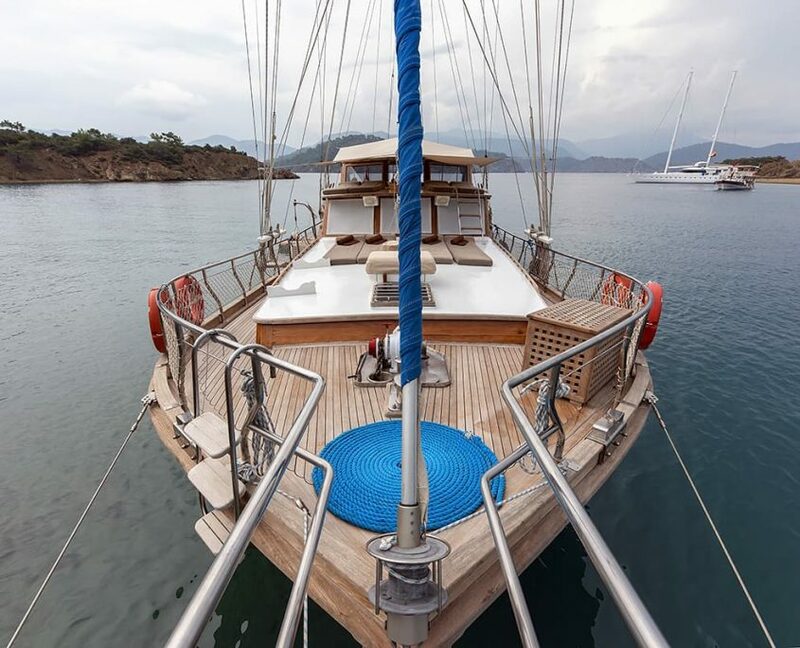 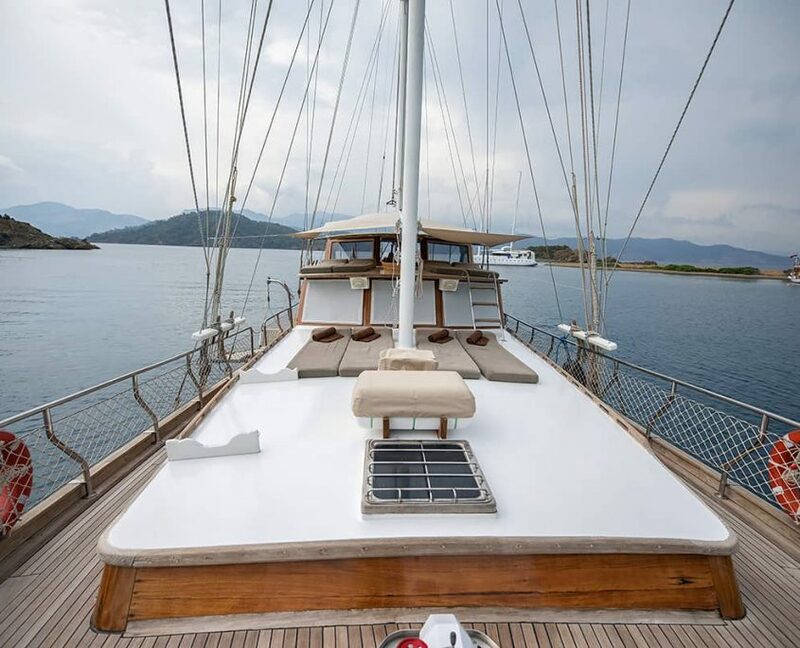 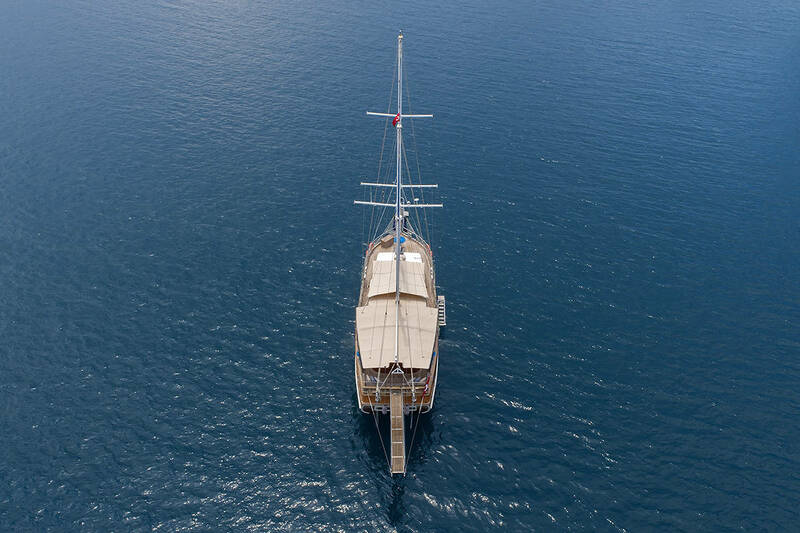 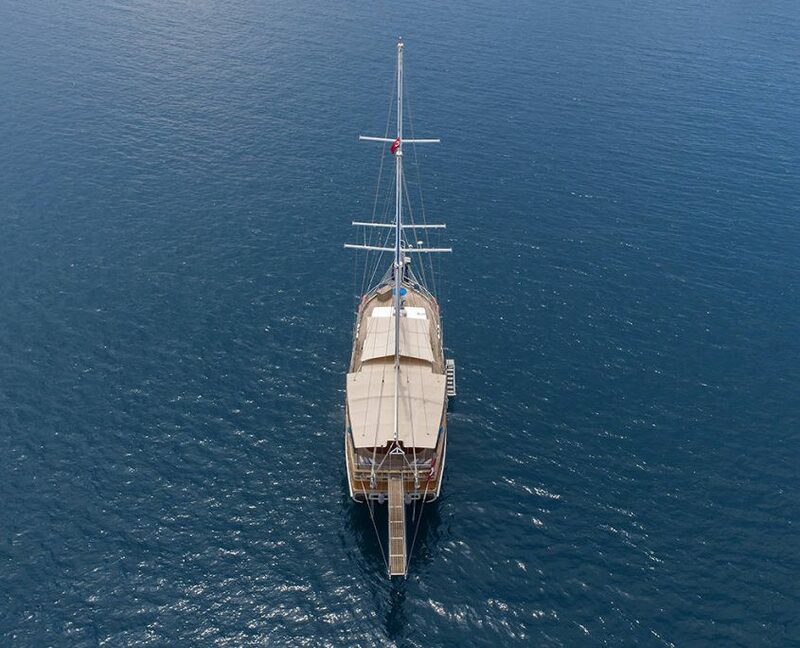 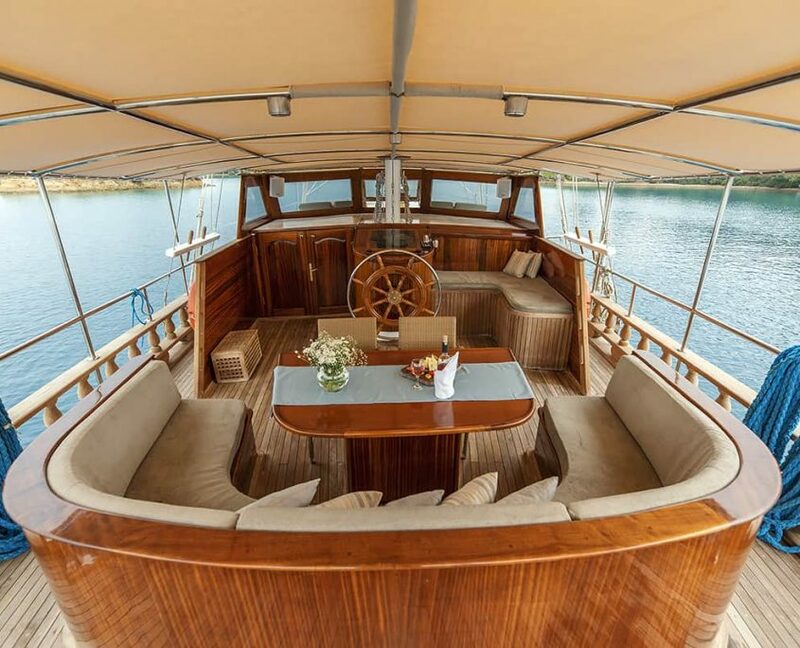 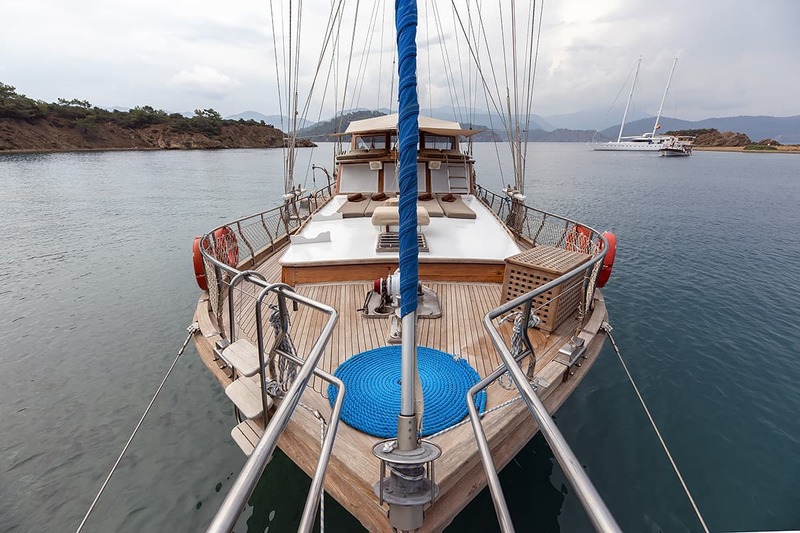 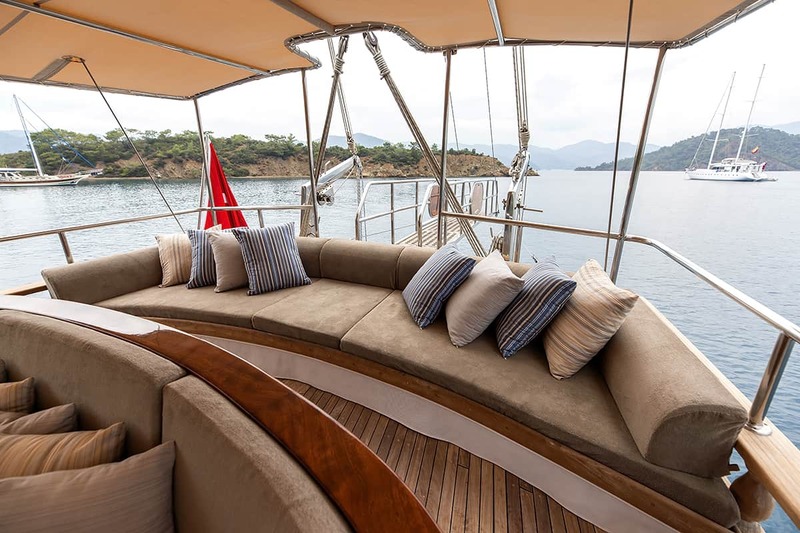 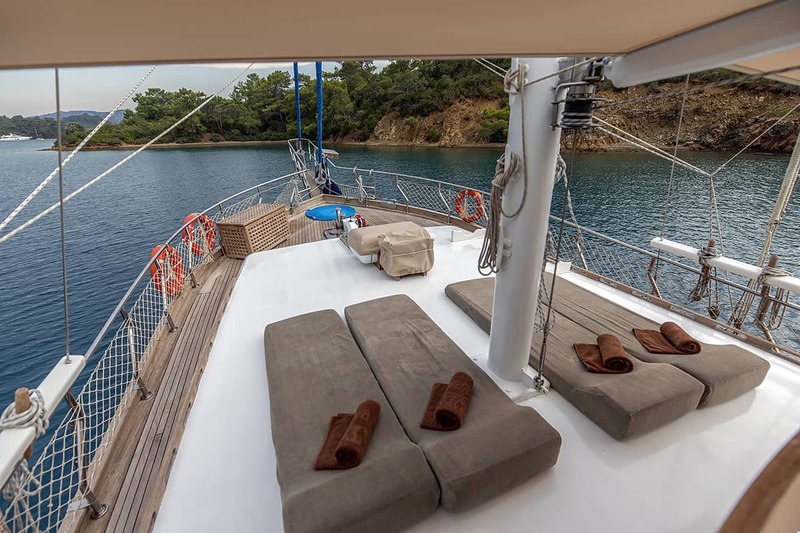 Her deck is spacious allowing plenty of comfort to enjoy a luxury gulet holiday in Turkey. 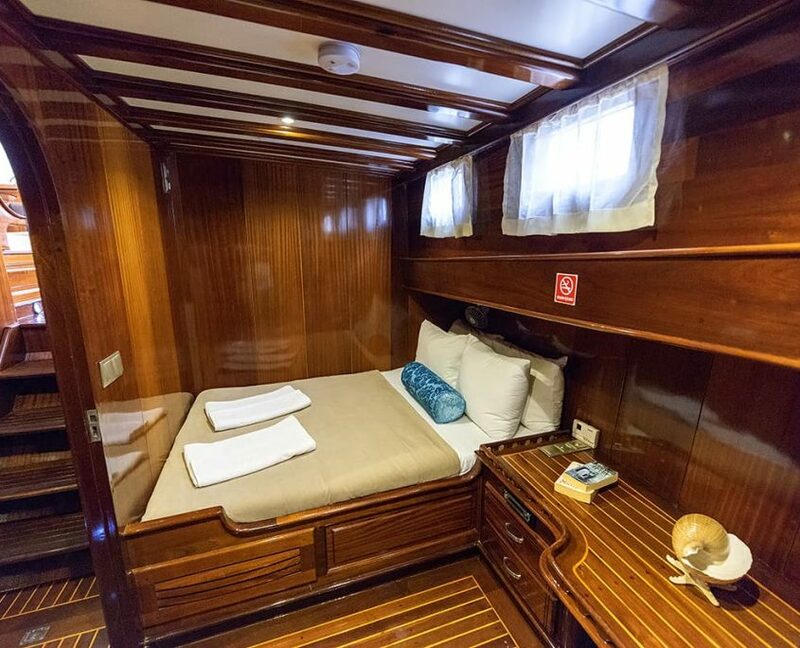 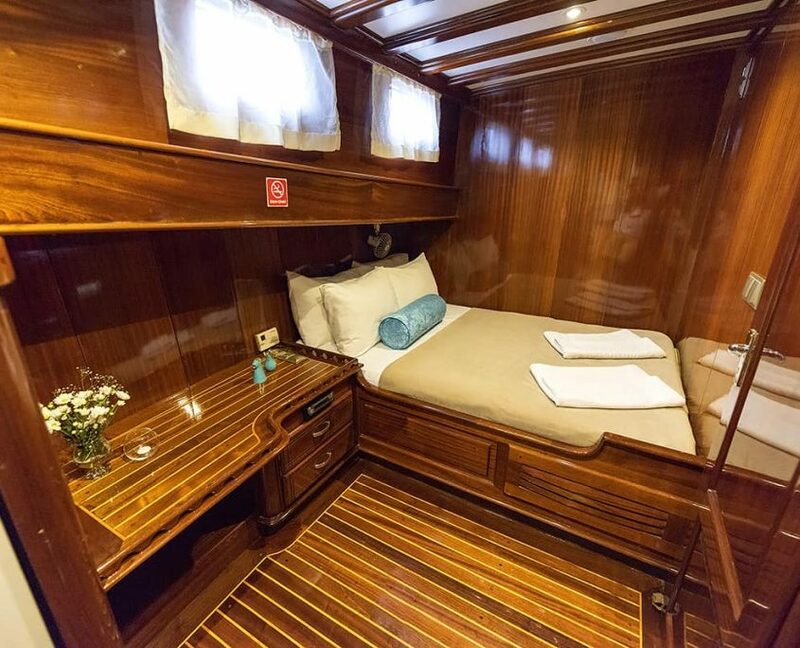 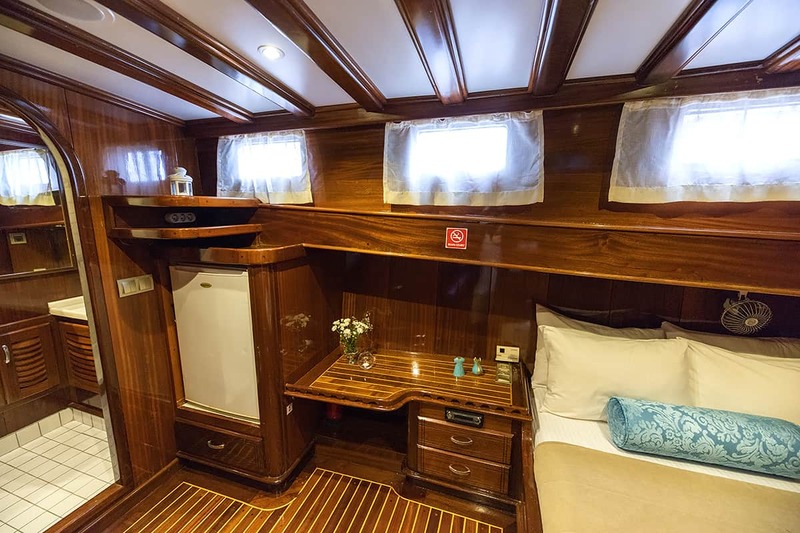 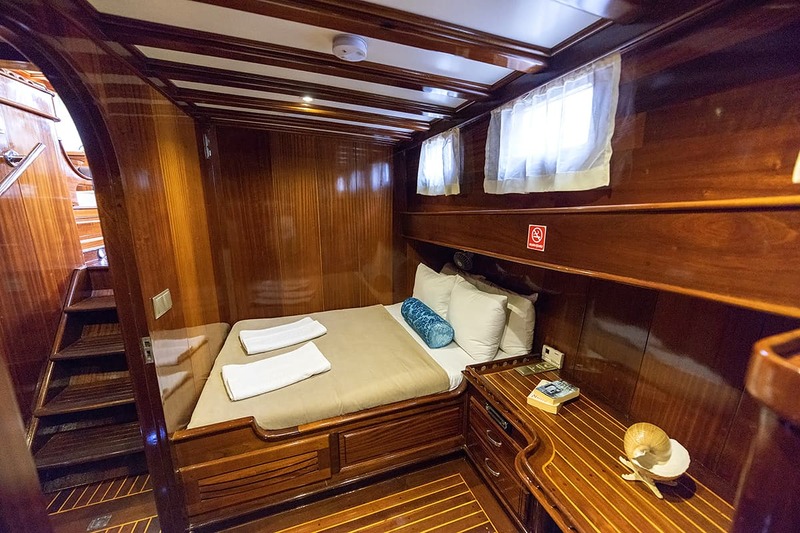 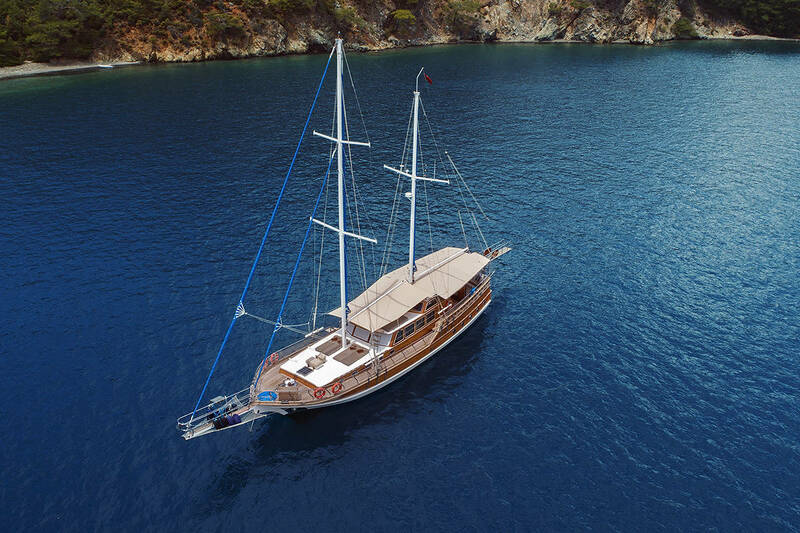 The 3 cabin for 6 person gulet offers her guests great crew services, cabins with air conditioning and en suites, as well as wi-fi internet. 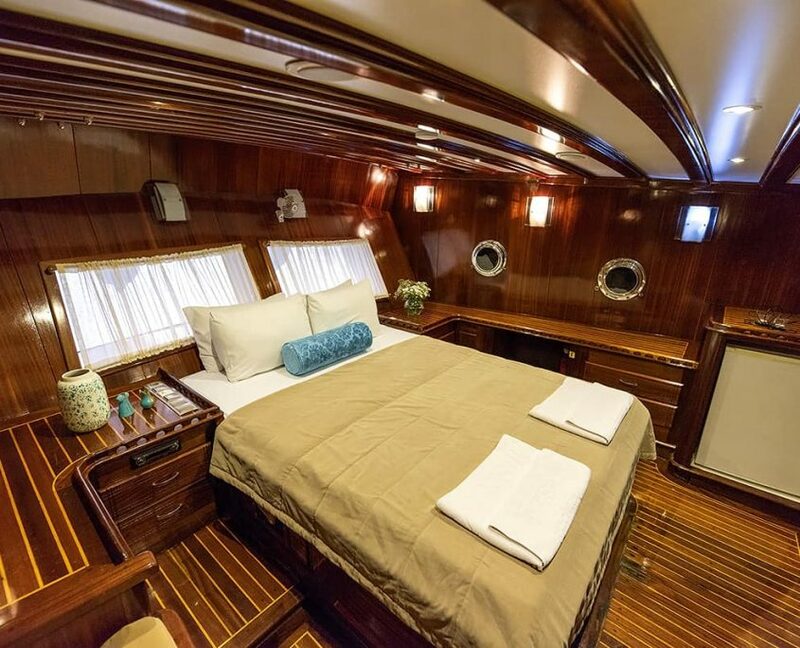 The aft is well designed. 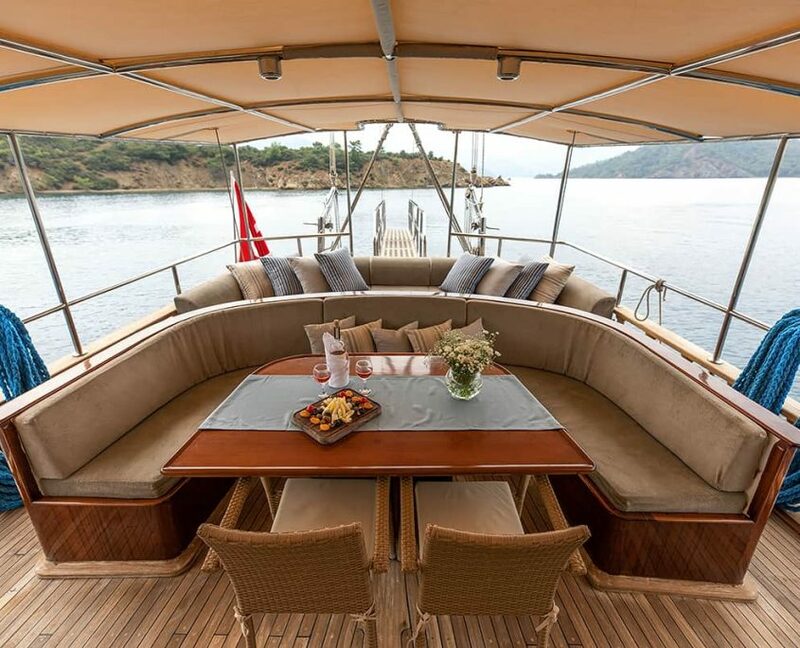 There is a u-shaped seating area around the dining table – perfect for a warm social gathering with friends and family. 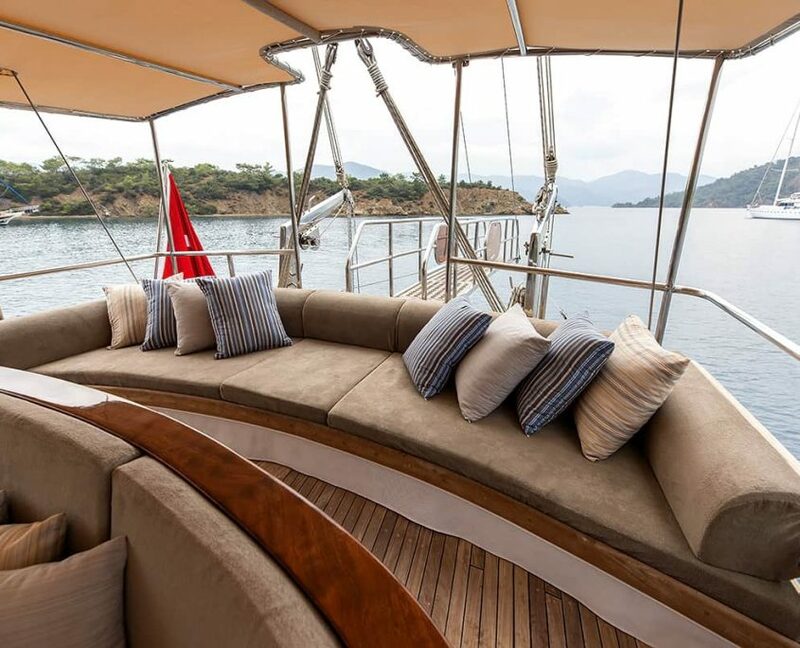 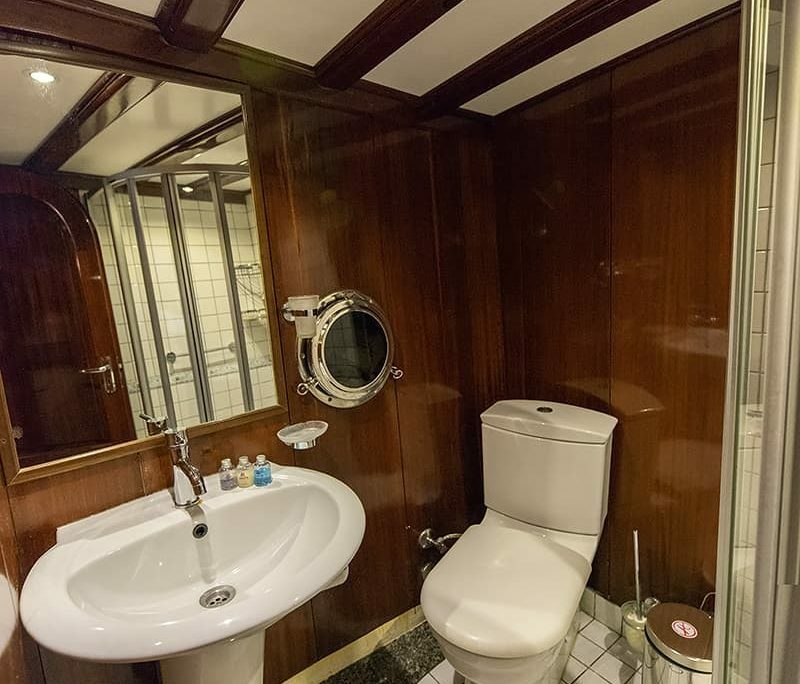 In addition you will find large cushions for times when you just want to laze back, feeling the warm Mediterranean breeze while enjoying the journey. 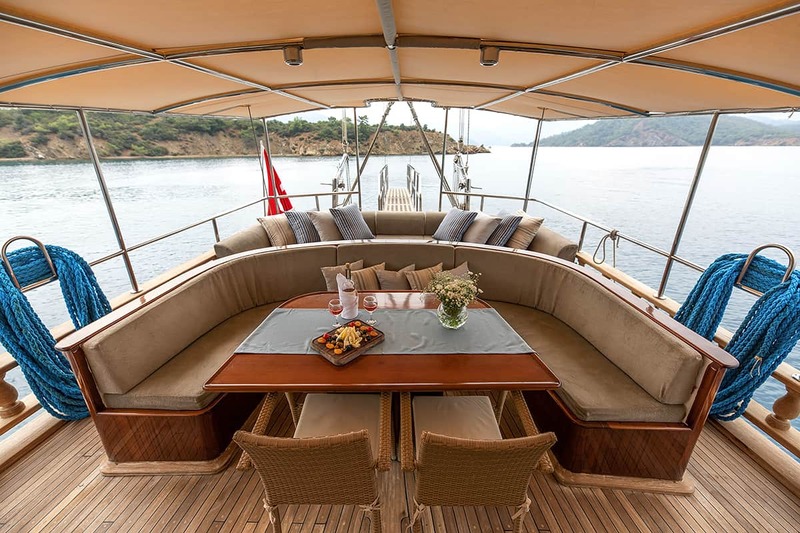 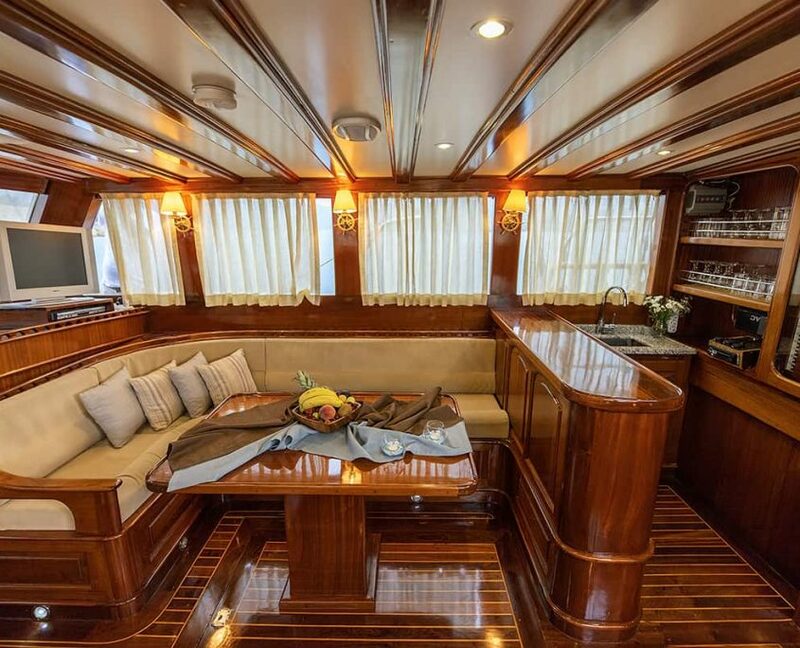 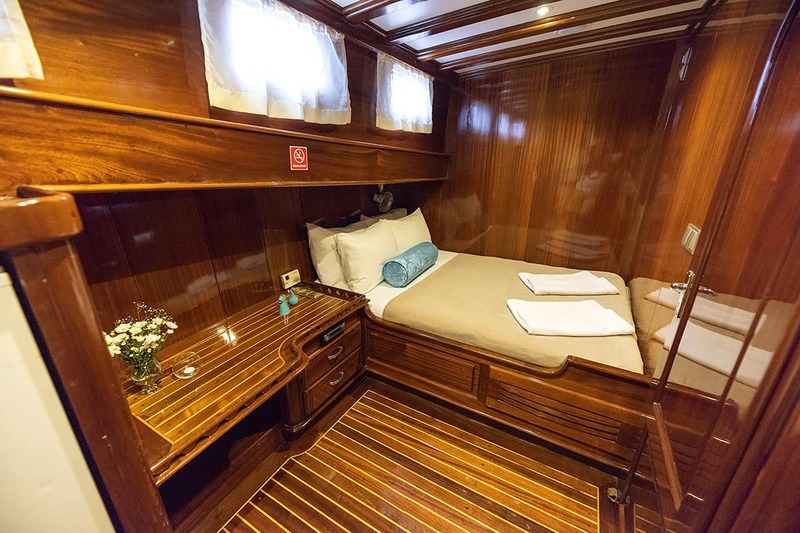 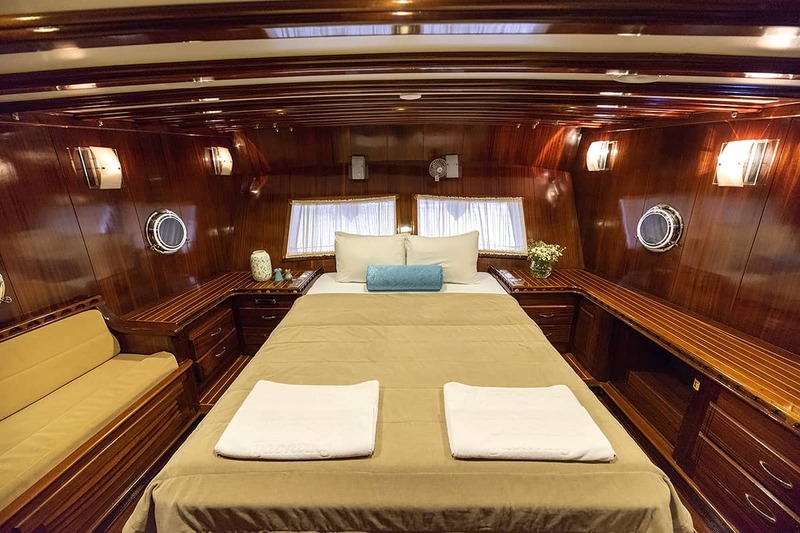 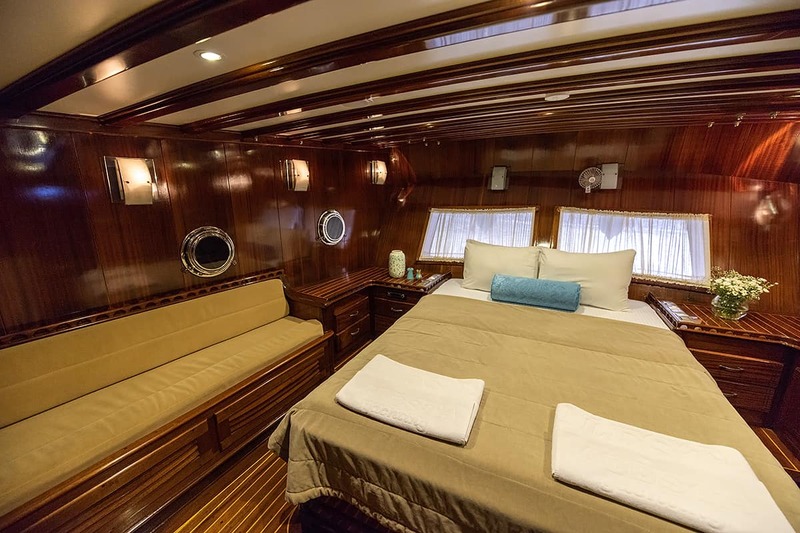 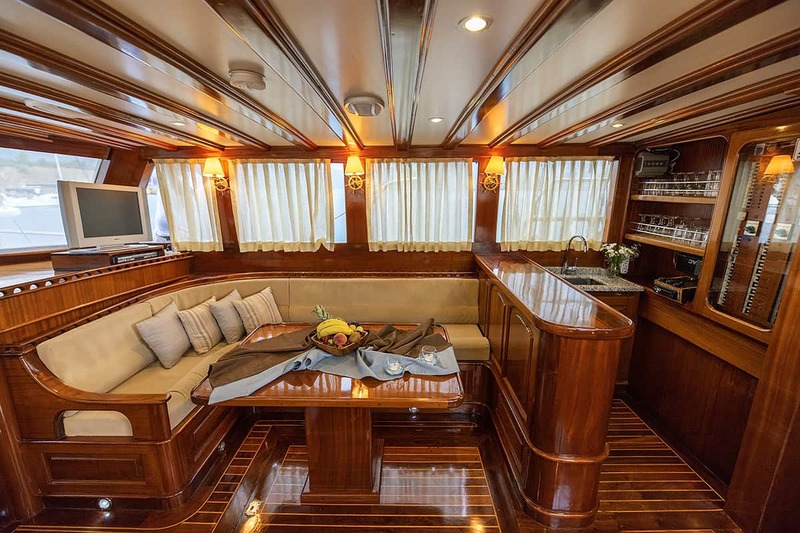 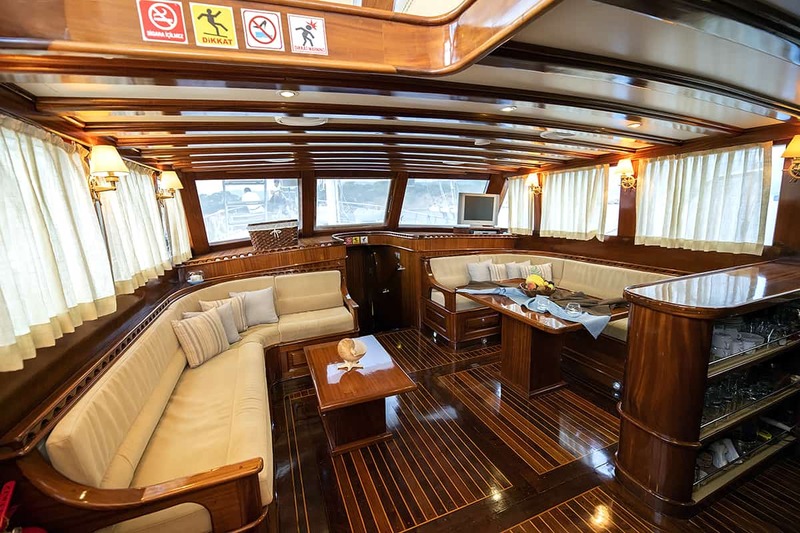 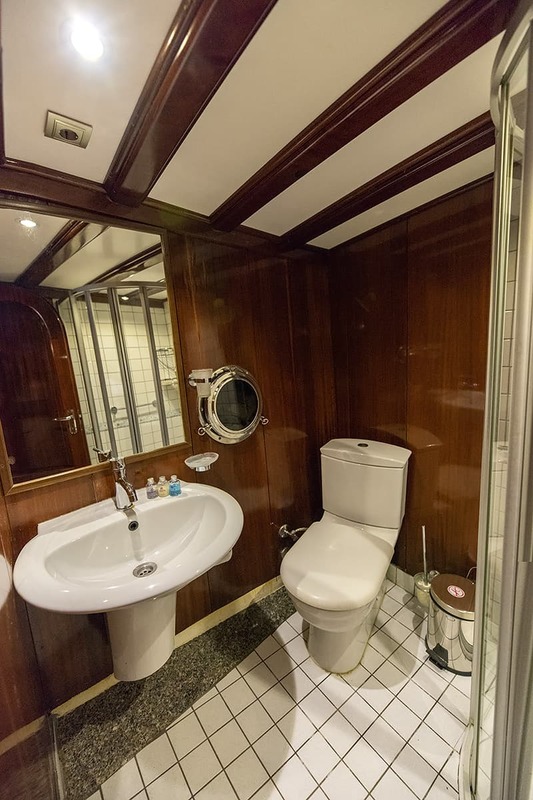 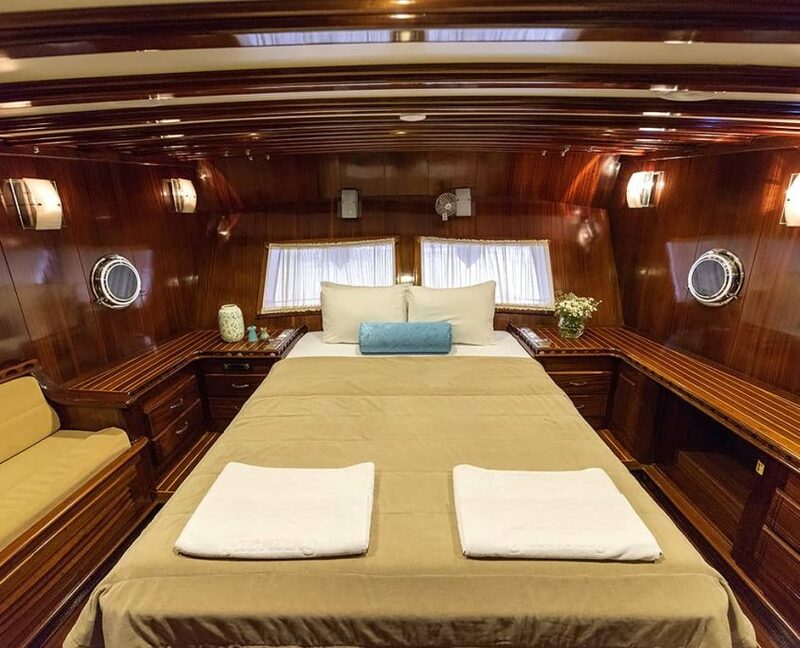 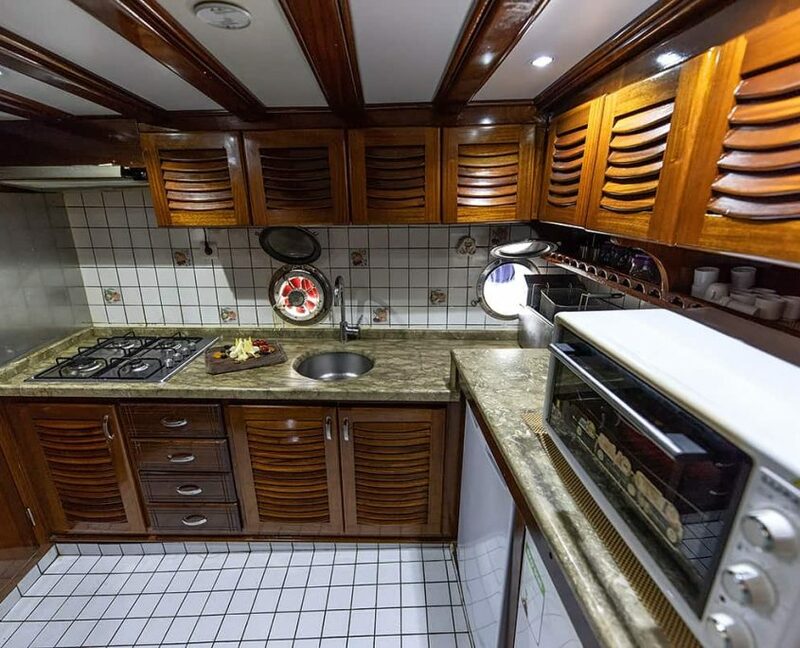 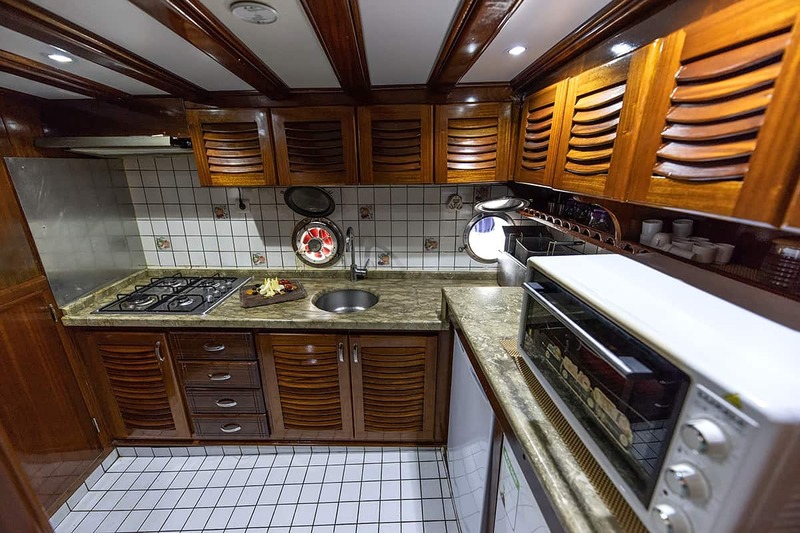 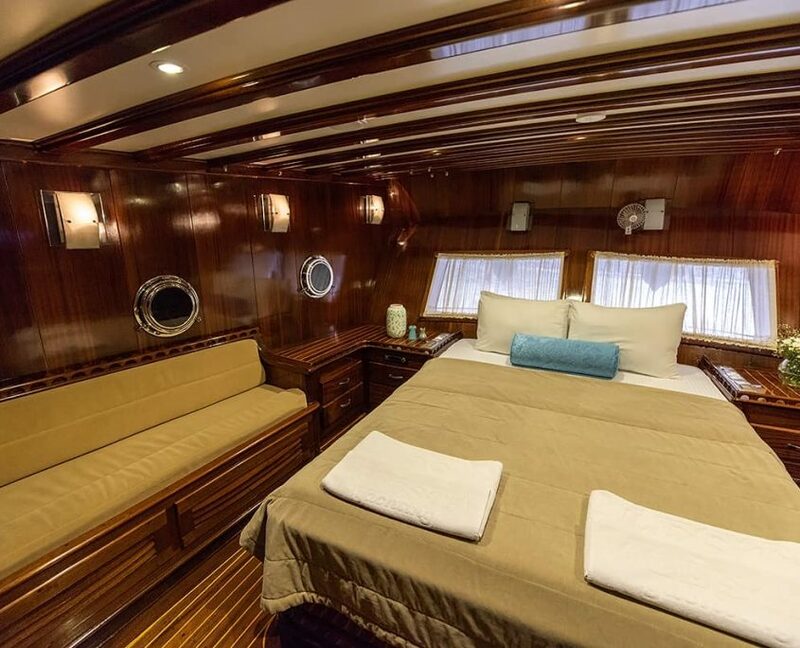 The forward deck provides sunning mats – as well as a level up above the coach cabin. 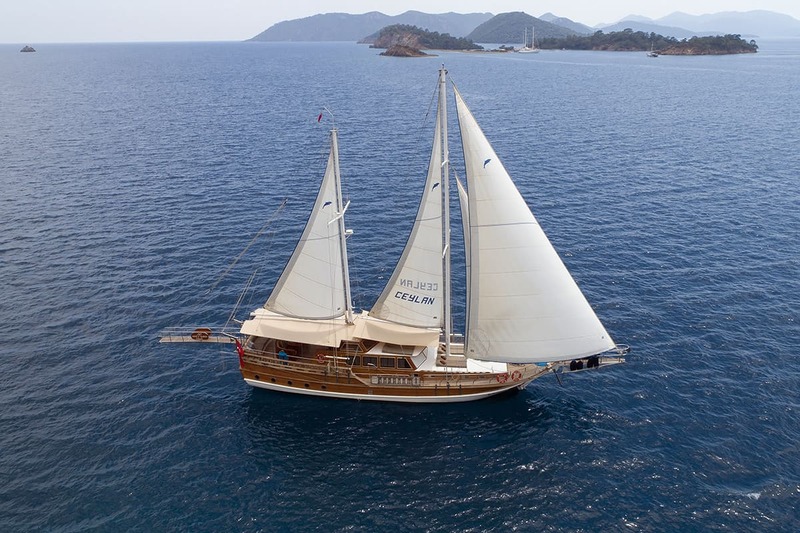 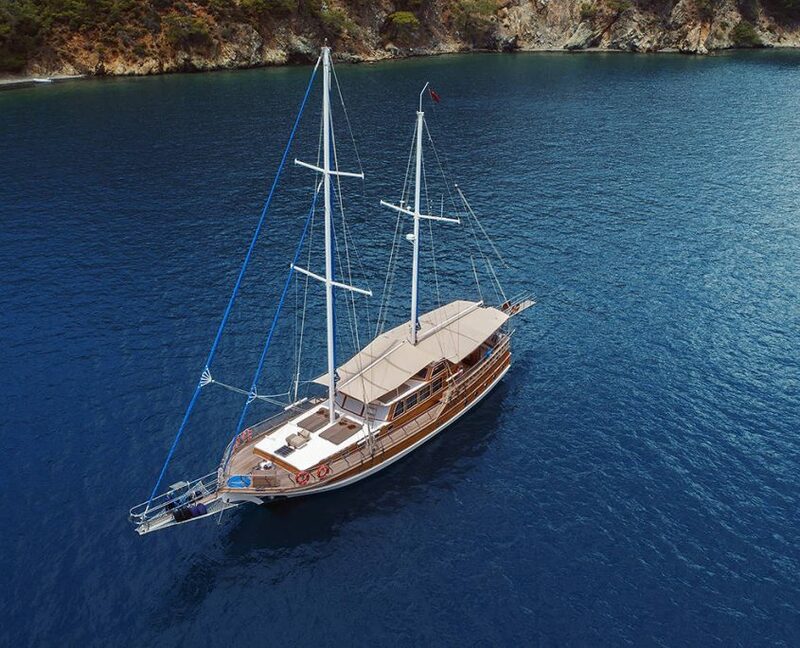 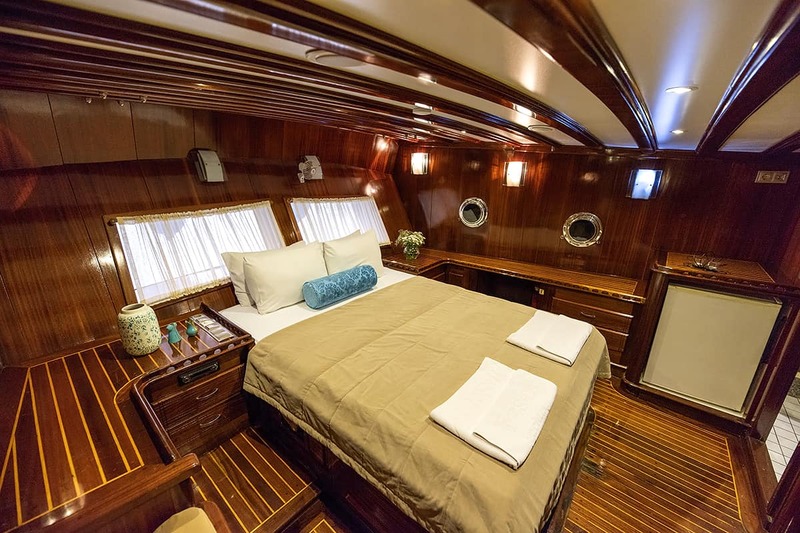 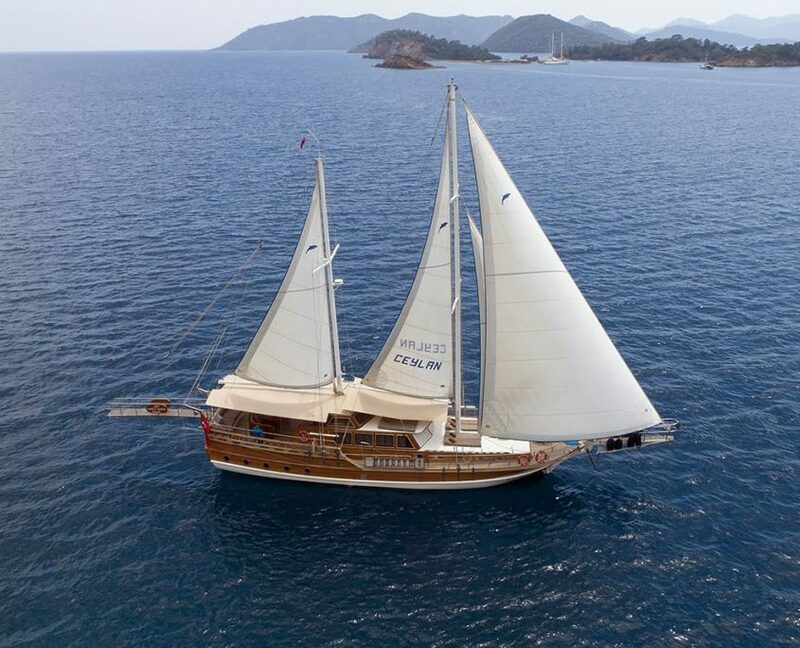 Reasonably priced, popular gulet charter. 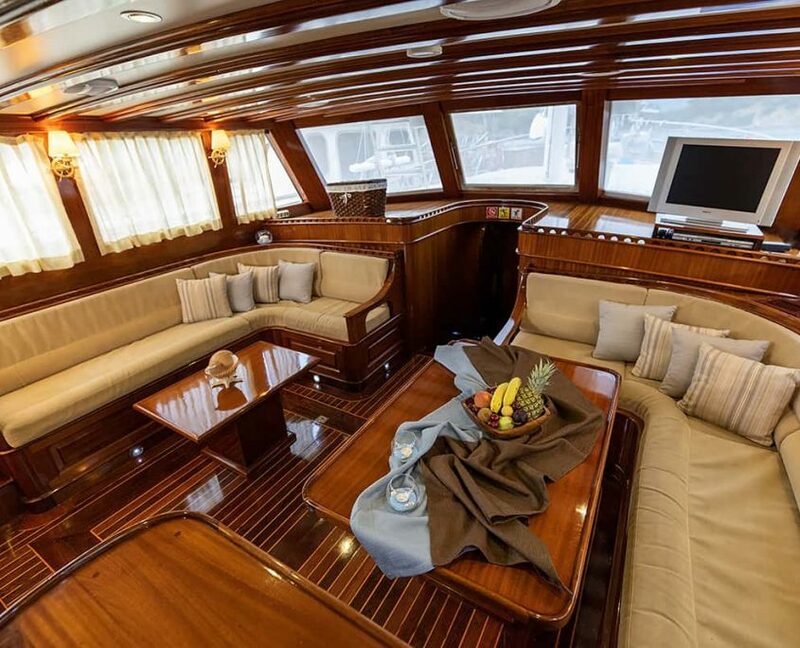 lots of sports water sports.